Adventures of the Hex Machine: A mixed post! I thought I'd start this month's posts with a beta one, particularly since there have been lots of new stuff added to it since the latest patch. Pet battles and all that stuff. I found out the beta post would have been way more text than screenshots, so this'll be a very mixed post. I meant to post it days ago already, actually, but things have come up. I know July wasn't a very active month posting-wise, compared to the previous two. It's because I haven't been very inspired about WoW, and lots of unfortunate events have taken place. I'm definitely not going to quit playing WoW or anything, I'm just taking a silent break while maintaining all guild things as usual. Part V of the story of Vlad is probably one of the things that will be out pretty soon, followed by part VI, which is intended to be the last part of the story. However, it will not be the last part of Vlad's story altogether - I've began to really like him as I've progressed with the story, so he'll be heard from. Beta things start here, so spoiler warning. 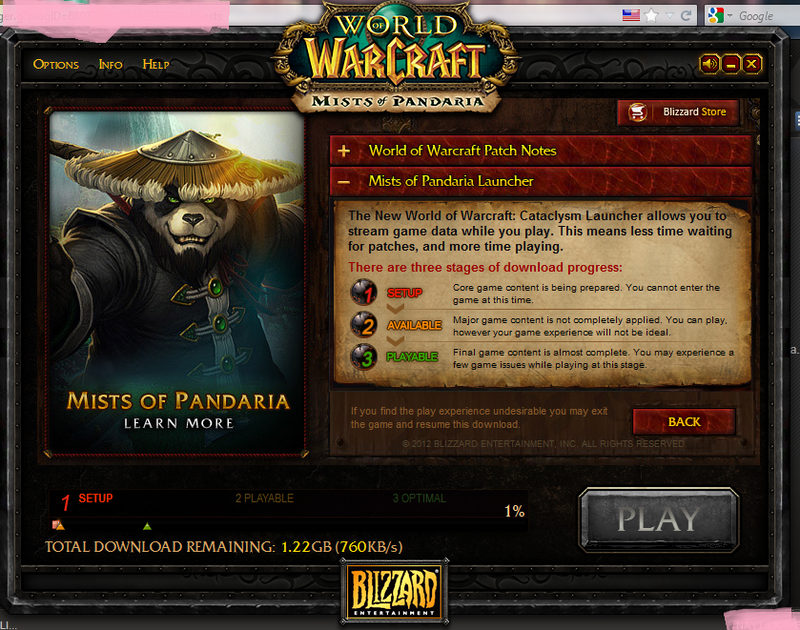 Alright, let's get to Pandaria things. It's been a while since I've been to the beta. The first thing I noticed was a new launcher. I liked the old one better, because it was wooden. There was also a Pandaria loading screen, which I thought I screenshot, but didn't. With my beta-shaman Nicasia I spawned extremely close to the newly introduced farming place in Valley of the Four Winds. What people mistakenly call the Farmville of World of Warcraft is actually much closer to the Harvest Moon of World of Warcraft with the Best Friends system and all. It is indeed a new minigame that lets the player take care of their own farm: plant and harvest crops, earn seeds and other rewards, build relationship with the various NPCs around the ranch, get gifts from them and take care of various issues around the farm. It's related to the Tillers faction. I'm not sure whether I like this myself or not, but the most wonderful thing about the minigames is YOU DO NOT HAVE TO DO THEM IF YOU DON'T WANT TO. I wish everyone understood this. Plus it's in Pandaria, and a Pandaren thing. It's not like it's going to be a part of Stormwind City's dailies. 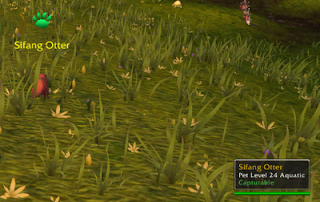 Just don't adventure into Pandaria if it makes you sick. Let the Pandaren live their lives, and live yours somewhere else. Or consider it a holiday in China, with some Chinese tourists elsewhere in the world. As most of World of Warcraft's players are casual ones - those that want to log on every now and then and do something, minigames like these are very understandable. They add to the casual player's to-do list, which before Pandaria included mainly questing, dailies and some dungeoning, perhaps PvP. I won't get into all the things I hate about the raid finder, but it's also one of those things for the casual players. See that libram? It didn't show as I inspected the items, so it's a special thing. I have no idea where or how one can get it, but I think it's awesome! And that paladin PvP set, too, is one if my favorites paladin sets so far. To me it has a Judgement-like feel to it. 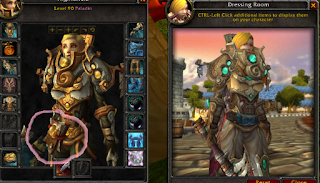 To avoid confusion, the malevolent set was transmogged into the dreadful one, hence the inspection looks different. I found a capturable pet in the Valley of the Four Winds, but I couldn't battle it, because I was stuck in combat for some silly reason that I couldn't figure out. At times it is and has been very difficult to get through these last months of Cataclysm. 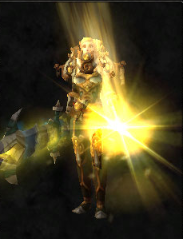 I'm pretty sure that when September hits, though, we'll be very close to the pre-MoP events. 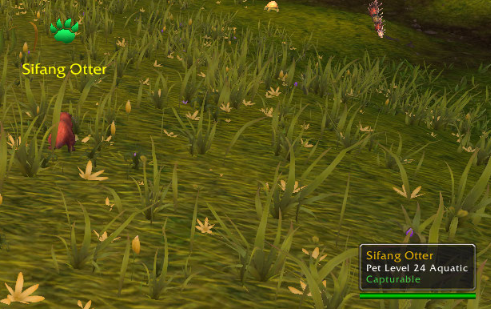 And because of that, I recommend everyone to visit the good old Theramore Isle while they still can. Here are some more screenshots of unimportant things. I had my first Panda greenie drop! 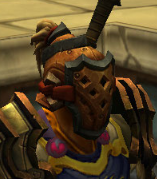 I like this helmet in a twisted way. 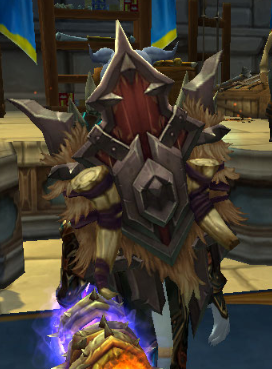 PvP shield - trollish voodoo stuff.